If you were truly wondering, Kiki IS still riding for Drake because the two had a night out at Delilah’s in West Hollywood on Saturday. While everyone — including us — thought Drake was referring to his first childhood girlfriend Keshia “KeKe” Chanté in now-viral hit “In My Feelings,” a credible source has since revealed that Kiki is actually K’yanna Barber of Oakland, California. This recent outing further proves that Barber is probably the true Kiki. Drake and his father Dennis Graham pulled up to the Hollywood hotspot together on Saturday night, and videos of the Canadian rapper turning up inside later surfaced on IG. 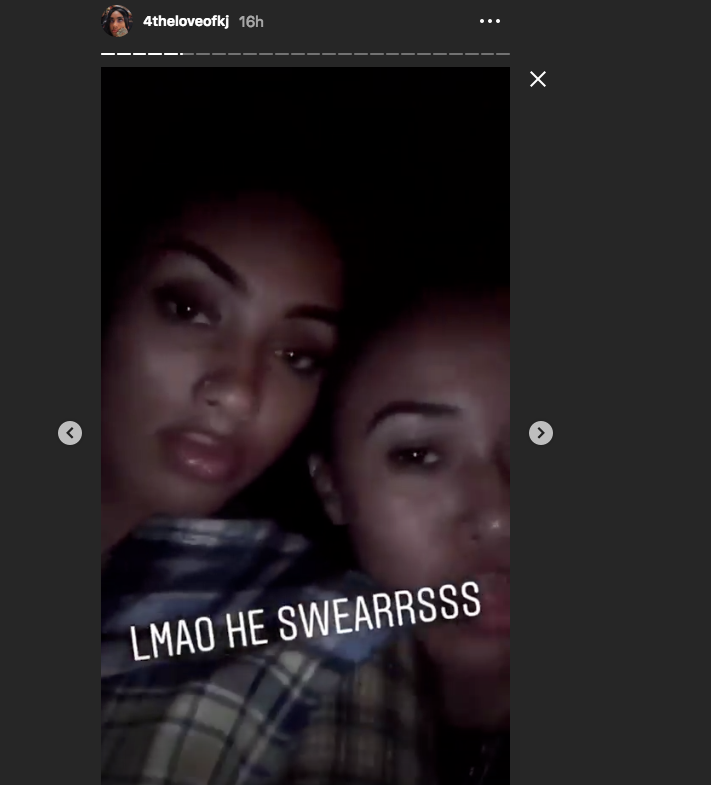 In a since deleted IG post, Barber’s friend shared a video of them together at Delilah’s, with Drizzy in the background wearing the same outfit as the posts above. KB is also wearing the same outfit that she posted to her Saturday night IG story. In conclusion, the two were definitely hanging out together this weekend. It’s unclear if Kiki ever told Drake she loves him, but he’s definitely still in his feelings. Peep the deleted post here. Check out photo and video from their outing below.
? @champagnepapi ?????? ICONIC !!! What a time to be alive!!! #Drake last night at Delilah in LA.